This Chenango home lives large with over 5,900 fin. sq. ft. boasting 5 Beds/5 baths. 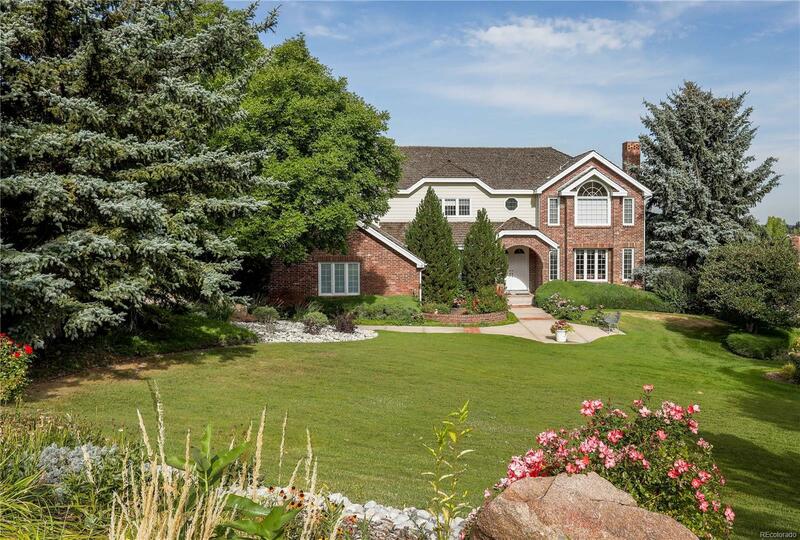 Situated on just under a 2-acre corner lot w/views from Pikes Peak to Longs Peak. Beautifully updated w/cookâs kitchen featuring slab granite, high-end appliances, induction cook top, multiple ovens for steam/convection cooking, warming drawer. Formal living & dining rooms, main floor study, 2-story family room w/atrium doors, dual fireplaces, hardwood floors throughout. The upper level features a large master suite with 5 piece bath and walk-in closets, library with a balcony, 3 add'l bedrooms, new carpet & attached baths. The lower level features a media center/theater, bar, game room w/pool table as well as an add'l bedroom, bath & 2 storage areas. Enjoy the serenity & all this home offers from the brick patio w/fire-pit, 2 decks, pond, landscaping & 3-car side load garage. Close to shopping, Regis & Cherry Creek State Park. Meticulously cared for. Move in ready! Cherry Creek Schools, Allows horses.